8/08/2018 · This will allow the user to set the macro key to the desired amount of playback per keystroke. Select 'play once' option will play the keystroke binding only once. Only select 'play multiple times' if you would like the keystroke binding to play more than once with only one click.... Yes, just open up "Manage Audio Devices" (or right click the sound icon in the taskbar tray and select "Playback devices"), then right click the device you want to rename and click properties. 21/11/2013 · Hi Is there a GPO setting that stops students from changing default audio device? We do have issues where if a student plugs in USB headset they are unable to change audio device from soundcard to headsets themselves..thinking of allowing this via group policy. how to change a fridge light To use this macro in any new documents you make, be sure the Store macro in box says All Documents (Normal.dotm). To run your macro when you click a button, click Button . Click the new macro (it’s named something like Normal.NewMacros. ), and click Add . How to change default sound device with a VBScript? To use this macro in any new documents you make, be sure the Store macro in box says All Documents (Normal.dotm). To run your macro when you click a button, click Button . Click the new macro (it’s named something like Normal.NewMacros. ), and click Add . 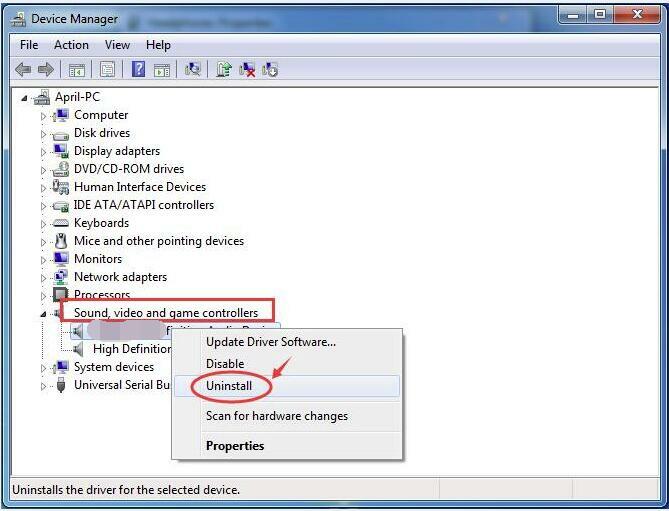 17/01/2013 · Click on a device and it will be changed to your preferred playback device. I am pretty new to C#, but it works on the few people i shared it with. If you open it in anything but Windows 7 it will crash because I am using a new Windows 7 API to get the system tray icon location and I am too lazy to make a warning popup. 3/07/2011 · The problem is that my current way of selecting the default audio device is to right-click on the sound icon, choose "playback devices", and then select the correct device. The macro program can record "mouse actions", which is restricted to the buttons and scroll, nothing about moving around the screen and doing something this complicated. On your mobile device, open the Google Home app . Make sure: All audio devices are set up on the same Wi-Fi network. Your phone or tablet is connected to the same Wi-Fi network as your audio devices.